"The Theory of Everything’s annoying, teethy, Redmayne grin-fest. Snore." Einar Wegener: I love you because you are the only person who made sense of me. And made me possible. It doesn't matter how important the subject matter is in this day and age if the film itself is poor, this was very poor. Let me just clarify by saying, more films on this subject matter need to be made to enlighten people on the struggles of the transgender community, Caitlyn Jenner certainly hasn’t solved everything. Ignorance in this instance is not bliss and I would hate for my review of this film to in any way appear that I am not empathetic to the story or the characters in it. I would, however, like to say, that any other films should not be directed by Tom Hooper or star Eddie Redmayne as the protagonist as they will likely miss the mark. Tom Hooper absolutely smashed it in the “The Kings Speech” a touching, thought-provoking biographical tale of King George VI and his struggles with a speech impediment. His lead, Colin Firth nailed the lead role, but in stark contrast, the Danish girl didn’t leave me loving the characters, it felt cold and distant and me wanting so much more from the story. Set in 1920’s Copenhagen, the story follows the story of Einar Wegener and his relationship with wife, Gerda Wegener. She is a painter and the film depicts her struggling to sell her portrait work, which aren’t quite hitting the mark. 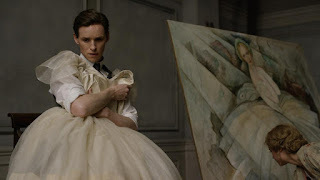 Her next subject doesn’t turn up for a painting and in steps Redmayne to play the part of a lady in stockings and heels. Here he realises that feelings he may have had in the past are maybe more than he first thought. As Gerda's paintings of Einar as a lady start to become popular, she elevates her painting career using the transformed Einar, now known as Lili, as her muse. Her support for his new found desire to become a woman starts to wane as she realises Einar is no longer the man she married, but really becoming Lili. She still supports him throughout and Einar becomes one of the first people to undergo gender reassignment surgery. Throw in child friend Hans Axgil, played by Matthias Schoenaerts (easy for you to spell) and you have one, complicated love triangle. 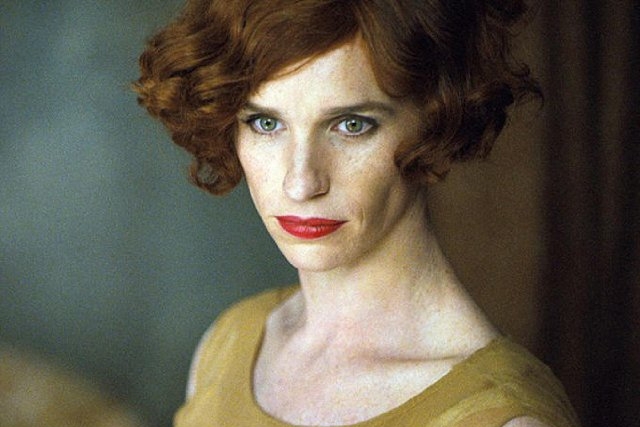 The problem with this film is primarily, Redmayne. I’m not even going to apologise for lack of love for him, where did this guy come from? He is the Derek Zoolander of the acting world with his "one look", portraying the same character no matter what the film. He does not transform into the character in any way, he plays ‘posh toff’, be it as Colin Clarke in My Week With Marilyn, as professor Steven Hawking or in this case as Lili Gerber. To make matters worse, last year, he stole the best actor award away from two other far more deserving actors in Michael Keaton (my hero/Batman and daughter's future guardian angel) and Benedict Cumberbatch (I have nothing funny about Cumbersnatch. Oh wait, nailed it!). I’m sure he’s a lovely guy, but coy smiles and looking away while blushing are not enough to portray such a complex character as Lili Elbe. I don’t know if I’ll ever understand Hollywood’s latest poster boy?! Of course, Hooper has to take some of the blame for his direction here. 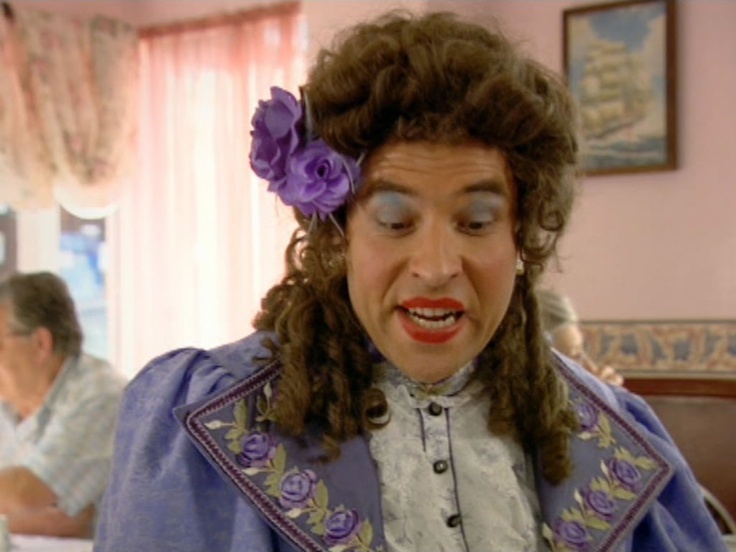 He allows Redmayne to continue to coyly smile every time he becomes Lily, which near the end is so cringe-worthy I almost expected David Walliams to jump out and say “I’m a lady”. Much more could have been made of the internal and external struggle such a person would have in a time where you would be committed to a mental institution for suggesting you were a woman inside a man’s body. 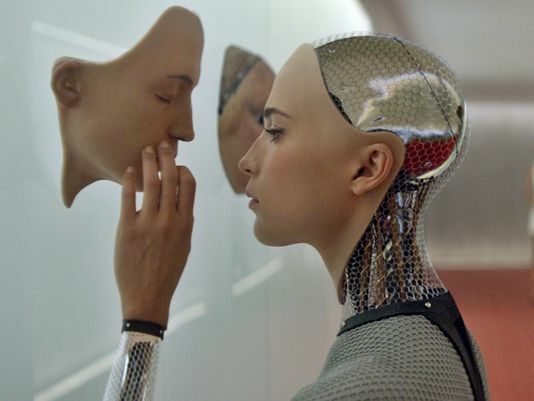 The saving grace of this film is Alicia Vikander. She portrays the conflicted wife incredibly well, she starts out in the exploration of having a transgender partner and embracing intimacy with Einar. The turmoil and struggle she then goes through as she realises the relationship is no longer for her is truly believable. A well deserved Oscar winner, argue amongst yourselves over which of her two films she should have won it for! As you may have gathered from the above, this is a full blown custard pie. 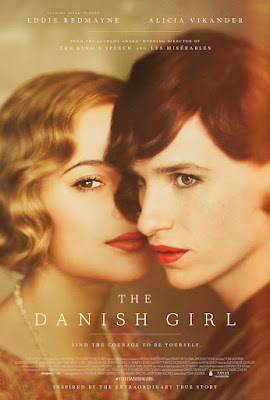 There is a little sweetness from Vikander but on the whole very disappointing from a director who I expected more from. It may be time for the director to switch it up a little after seeing him helm films about a King with a speech impediment and two with damned and miserable in the title. A film which needs to educate people on a very important subject matter does nothing but suggest, any transgender male needs to just put your hand to your mouth, throw out a smile and you have femininity nailed. Alicia Vikander's Oscar nomination for Best Actress in a Supporting Role, instead of Best Actress in a Leading Role, was seen by many as a critical category fraud, as her character, Gerda, has more screen time and more dialogue than Eddie Redmayne's character, Einar/Lili. Agree, disagree? Let me know and comment below.